Armstrong Browning Library - "The library with its dedication to the great British Victorian poets Robert and Elizabeth Barrett Browning is as surprising as the poets' own unlikely love story." 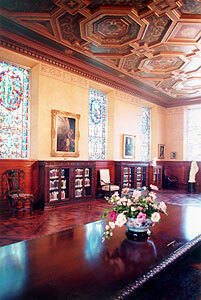 World’s largest collection of materials relating to Robert and Elizabeth Barrett Browning, housed in an imposing library with 56 stained glass windows depicting the poetry of the Brownings. Also an extensive Wedgwood china collection on display. Free Admission. Cameron Park Zoo - You'll find many rare species living together at the Cameron Park Zoo, the nation's newest natural habitat zoo located in Waco, with a cascading waterway, includes African savanna, Gibbon Island, Sumatran tigers, lions, herpetarium, tiny Dik-Dik Antelopes, a new South American Exhibit, and much more. Carleen Bright Arboretum - Woodway residents and visitors take pride in the City's rolling hills and abundance of trees, grasses and wildlife. The Carleen Bright Arboretum is at the center of this natural beauty and offers an attractive center for family gatherings and special community events. 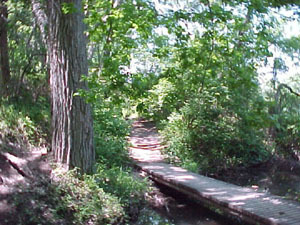 The Arboretum includes a gazebo, concert green, the Todd Willis Memorial Nature Trail and Whitehall Center. An enhanced reproduction of the original Whitehall Church which served the immediate area before Woodway became a city, Whitehall Center has 1,800 sq. ft. dedicated for use as a rental hall. The Center is used for tourist related events, public meetings, art exhibits and rented for private functions. The adjacent terrace provided an additional 2,000 sq. ft. for outdoor activities associated with the Center. There is a caterer's kitchen in the hall and public restrooms. An office is located in the Center to provide information to visitors and take rental reservations. Heritage Square - Visitors can stroll through pergolas -- partially-covered walkways -- while reading the names of past mayors. They can listen to the sounds of trickling water in one of the five fountains. Dr Pepper Museum and Free Enterprise Institute - Dr Pepper was invented by a Wacoan and the museum is housed in the original bottling plant. The 1906 "Home of Dr Pepper" with exhibits, memorabilia, and a working turn-of-the-century soda fountain featuring floats and shakes. 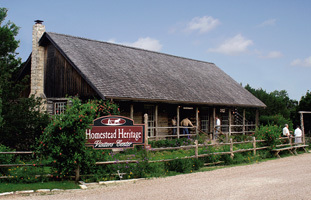 Homestead Heritage - Traditional Crafts Village - an inheritance of fine hand-craftsmanship in a traditional village setting, featuring handmade furniture, pottery, blacksmithing, and more. Homestead Heritage Visitors Center stands just inside the front gate at Brazos de Dios, our 510-acre homesteading community. At the log cabin Visitors Center you’ll find information about our seasonal activities and special events as well as the various craft courses and teaching seminars we offer throughout the year. The Visitors Center also houses Cafe Homestead, which features daily lunch specials, smoked barbecued brisket, deli-style sandwiches made with our original whole wheat breads and real homemade ice cream. Sample fresh-baked desserts, such as homemade pies, pastries, cookies and doughnuts or take home a loaf of delicious, homemade, whole grain bread, baked daily. Try our wood-fired brick oven breads. Mayborn Museum Complex - Provides a wide spectrum of learning opportunities to engage all types visitors. The exhibits and education programs encourage families to learn together and design their own museum experience. Jeanes Discovery Center: Offers sixteen hands-on discovery rooms with themes from vertebrates to transportation, health to sound. 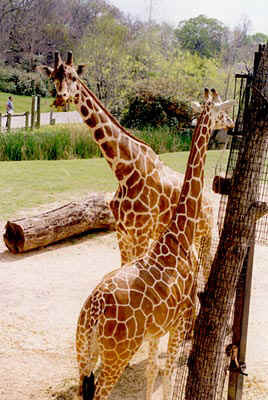 Natural history exhibits are located both indoors and outdoors and include walk-in dioramas and exploration stations. 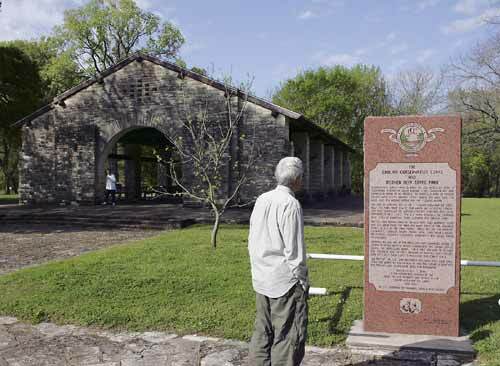 Governor Bill and Vara Daniel Historic Village - 13 acres located on the Brazos River. 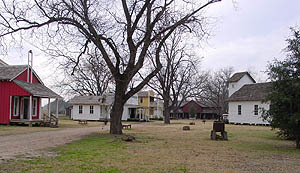 The Historic Village has recreated life in Texas during the 1890s. 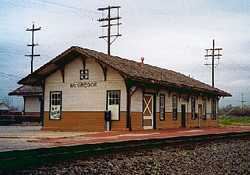 This is the Amtrak stop for Waco. McGregor Telephone Museum - Operated by the Spradley family, long-time Southwestern Bell employees. Red Men Museum - Among the artifacts on display is a watercolor by Adolf Hitler, a bugle from the Gettysburg battlefield, a peace blanket from Apache Chief Geronimo, and a Colt .45 and a Colt .48 of Bonnie and Clyde. 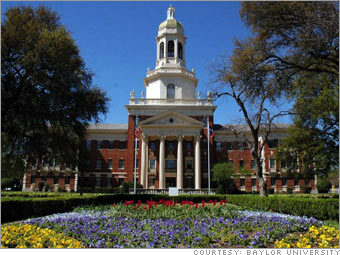 Baylor University - Chartered in 1845 by the Republic of Texas and affiliated with the Baptist General Convention of Texas, Baylor is the oldest institution of higher learning in the state and the largest Baptist university in the world. Art Center - The Art Center of Waco makes its home on two and half acres of the rolling hills of McLennan Community College. Art Center Waco is housed in the historic, Mediterranean-style, William Cameron summer home. Our studios overlook the Brazos River Valley, a beautiful natural setting conducive to creative learning and inspiration. Gallery tours have been added. Schools, preschools, groups and classes get personalized tours and fun arts activities related to the current exhibit. The two and one-half acre Sculpture Garden is accessible daily. Visitors are encouraged to explore! 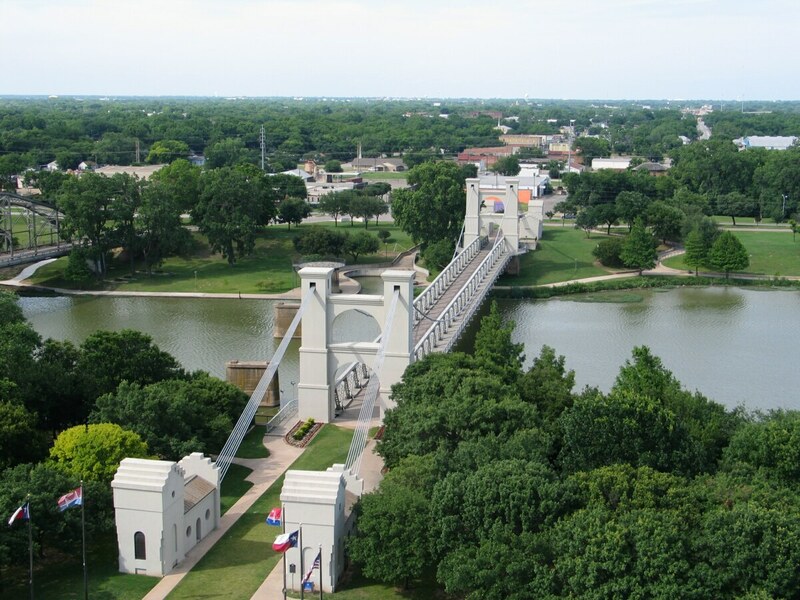 Suspension Bridge - Built in 1870 and a model for the Brooklyn Bridge, this famous Waco landmark provided cattle and cowboys following the Chisholm Trail the only span across the Brazos River. Riverwalk at Indian Springs Park - Enjoy free summer concerts. Stroll the river walk all year long! Texas Ranger Hall of Fame & Museum - The original enforcers of Texas laws (not the baseball team) has a most unique collection of the old west. Extensive collection of Texas Ranger and Old West artifacts. 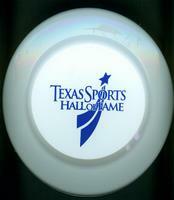 Texas Sports Hall of Fame - Texas sports history comes alive with the Tom Landry Theater and interactive displays. 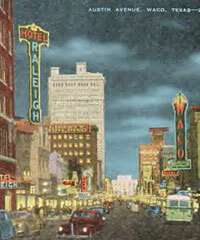 Waco Convention and Visitors Bureau - Visitor information. Hippodrome Theater - Built in 1914 in the heart of downtown as a vaudeville and movie house and restored to a 1930s Spanish Colonial style in the 1980s, the Waco Hippodrome Theater hosts local and national shows alike. 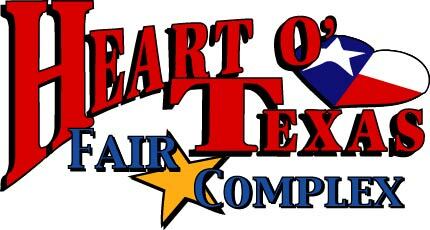 Heart O' Texas Complex - Home to the annual Heart O' Texas Fair and Rodeo, as well as the site for many other events, including the circus, concerts, auto and boat shows, and livestock events. Earle-Harrison House and Gardens on Fifth Street - Ante bellum, Greek revival style home with 5 acres of lawns, pond and gardens. Built in 1858 by Dr. Baylis Wood Earle and his wife, Ann Eliza Harrison Earle, this Greek Revival style mansion is the only restored antebellum home in Waco. Built of cypress, it features fourteen foot ceilings, walkthrough windows onto verandas, and spacious rooms. It's fine Victorian furnishings and artifacts were gifts from Waco citizens, along with pieces from the Earle and Harrison descendants. This photograph was taken prior to its restoration in 1967. Earle-Napier-Kinnard House - 814 S. 4th St. 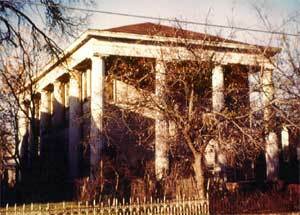 The house is of the Greek Revival style, characterized by white, pillared porticos like Greek temples. Built of pale pink handmade brick, which was made nearby, it has a graceful Ionic portico, ornamental wooden banisters, made to resemble the ironwork of New Orleans, on both the upper and lower galleries, and cypress shutters. This house is said to be the second brick house built in Waco. At the time it was built, in 1858, Waco was but a small village. Not long after the original one-room house was built, the Civil War began and many of the men from Waco went off to war. The first owner of this property was John Baylis Earle, who came to Waco Village in 1855 when it had fewer than 700 citizens. He purchased the land in 1856 and built the original one-story brick house on the property. 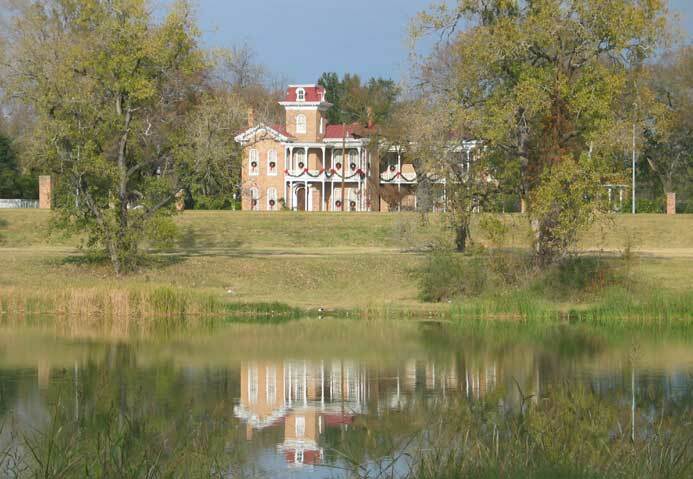 In December 1866, H. S. Morgan purchased the property, a total of about three acres of land. The purchase price was four thousand dollars in gold specie. Mr. Morgan started the walls for the dining room and the two-story addition. In May, l868, the property was sold to Dr. John S. Napier and his wife, who enlarged the house so it was as we see it today. East Terrace - 100 Mill St. The architectural style of this house is Italianate Villa, with small cozy rooms and a tower room where the owner could survey his acreage. This style was popular along the Hudson River, and in that area it is referred to as Hudson River Architecture. Note the square cupola, tall hooded windows and mansard roof. The dining room and large bedroom above it were added about 1880. The second addition, the Entertainment Wing with its own entrance hall was added in 1884. Mr. Mann had his workmen put aside the most perfect bricks to use for his house, the terraces, storm cellar and the large chimneys of the four servant houses. Fort House - 503 S. 4th St. The house is Greek Revival Style, constructed in 1868 of pink brick, locally made. On either side of the front door are fluted ionic columns; which are original to the house. They were made of Cypress in New Orleans, shipped to Galveston, then transported to Waco overland by ox cart and flat bottom boat on the rivers and streams. The cypress shutters are also original to the house. The trim is made of pine. The balcony above the front door originally extended to the columns. The home is on its original site. The original plot of land, on which Fort House stands, extended from South 4th and Webster to encompass six or more acres. The western boundary was 5th Street. The family kept horses, cows, and poultry and maintained extensive vegetable gardens and orchards. Originally, a white picket fence enclosed the property. The wrought iron fence replaced it sometime prior to 1890. At the time the home was constructed, South 4th Street was just a dirt road. On the corner of South 4th Street and Webster Avenue, stood a white arbor covered with greenery that offered a cool escape from the hot Texas summers. McCulloch House - 407 Columbus Ave. McCulloch House was begun in 1866 and completed in 1872. The original house consisted of a two-room structure. The house was enlarged to its present two-story Greek Revival house made of local pink brick. There was a dependency: a detached kitchen to the north of the original structure that was incorporated into the main building when the house was enlarged. Dr. Josiah H. Caldwell, a Waco Physician, and his wife built the house in 1866. Mr. and Mrs. Champe Carter McCulloch purchased the house in 1872. Mr. McCulloch was a prominent Wacoan. He was a local merchant who made frequent trips to New York to buy merchandise for other Waco merchants. He served as Mayor for about 11 years. Emma Bassett, later to become Mrs. McCulloch, was brought to Waco from Corsicana, Texas, by buggy, to teach piano and penmanship at the Waco University when the teacher of those subjects left for the Civil War. The McCullochs had ten children. The last descendant, a daughter-in-law, lived in the house until 1971. Hoffman House - 810 S. 4th St. 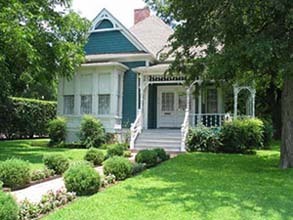 This 1890s Queen Anne style Victorian cottage is the home of Historic Waco Foundation and now serves as the Foundation's office. Its teal green color was found beneath layers of paint and is now set off by its original white “gingerbread” trim. Mr. Hoffmann was the son of a German physician who immigrated to the United States during the Civil War and was immediately conscripted into the Union Army. During Reconstruction he was sent to Texas with Union forces and decided to make Texas his home. Mr. and Mrs. Hoffmann were the dedicated parents of two daughters, Fay and Bird, and a son Harry at the turn of the 1900s. In 1987 this house was moved over 20 blocks to 810 S. 4th Street from 19th and Webster Avenue. In order to make the move, the roof was removed, the porch was dismantled, and cross streets were closed. After the move was complete and the house placed on its new foundation piers, the work began on restoration of the exterior and interior. Cameron Park - The 416 acres of Cameron Park offer something for everyone. For the water lover, the Brazos and Bosque Rivers make for a fun day of fishing, canoeing, or kayaking, complete with easy-access boat ramps. For wildflower enthusiasts, Miss Nellie's Pretty Place showcases Texas' many native wildflowers and plants, with rock-lined paths, a picturesque pool, and amphitheater—just the spot to rest and soak in the outdoor beauty. For the athletic crowd, Cameron Park offers sand volleyball courts, hiking paths, mountain-biking trails, bridle paths, horseshoe pits, and two scenic disc golf courses. Cameron Park is great for families; parents can picnic in riverside pavilions or under giant shade trees while the kids play on the playgrounds and spray parks. For the nature lovers, the Park Rangers offer outdoor treks to explore Waco's rocks, trees, fossils, and critters. Fort Fisher Park - A park adjacent to Interstate Highway 35 where The Texas Ranger Hall of Fame and Museum complex is located, along with the Visitor Information Center. It is also near the Texas Sports Hall of Fame and features sprawling shade trees and riverfront picnic spots perfect for an afternoon break. 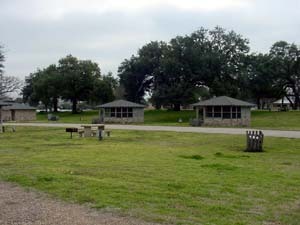 Mother Neff State Park - The first official state park in Texas. Waco Mammoth Site - The Waco Mammoth Site includes a breathtaking dig shelter that creates an atmosphere of an art gallery. Natural light floods into the shelter from all directions and a suspended walkway provides a stunning overhead view of the mammoths. 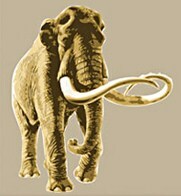 The site also features a scenic trailway complete with benches and rest areas where visitors can reflect on what life was like during the age of the mammoths. 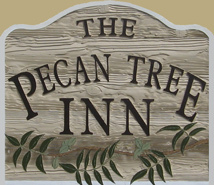 © 2011 The Pecan Tree Inn. All rights reserved.